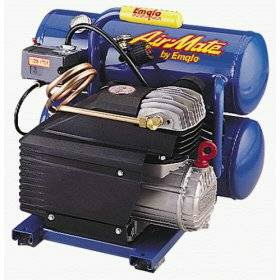 Portable light duty air compressor for low volume air tools and tire inflation. Air hoses, tools and accesories are rented separately. * Please call us for any questions on our aircomp 1hp 110v rentals in Portland OR, Gresham OR, Milwaukee OR, and surrounding metro area.